Matt Kuchar is certainly one of the well-known names in the game of golf. He has had a number of titles accrued to his name over the years and despite his relative youth, he stands tall in the game that he has chosen to pour his passions into. We explored more of the life of this gifted golfer below. He was born on the 12th of June in 1978 as Matthew Gregory Kuchar in Winter Park, Florida. His family was Ukranian and he attended high school at Seminole High School in Sanford, graduating in 1996. He then went on to Georgia Tech in Atlanta and joined the Yellow Jackets’ golf team. Matt Kuchar was lucky to win the 1997 U.S. Amateur championship on his previous tour, playing at amateur events before turning pro. He lost the previous year in the semi-finals to Tiger Woods. In 1998, he won the Haskins Award as the nation’s top collegiate golfer. Matt Kuchar turned pro in 2000, the same year he got his bachelor’s degree in management. He had a high-flying 2000 but he soon suffered through a slump, struggling to reproduce his successes on the PGA Tour. He soon recovered, building a new playing status and getting better results. He has since recorded seven PGA Tour victories spanning across 12 years. He was the leading money winner in the 2010 PGA Tour. He is also considered one of the most consistent players who has cumulated wins of over $30 million in prize money whilst racking up over 80 top-10 finishes. 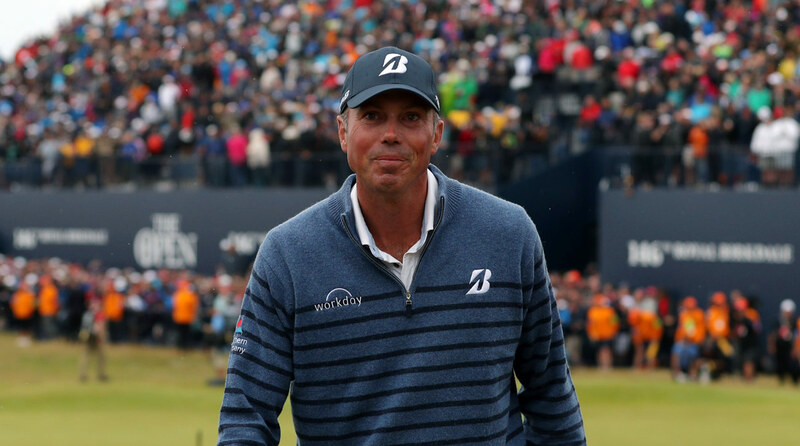 In 2012, Matt Kuchar won the Players Championship which remains the largest tournament victory in his entire career and which moved him to number five in world rankings for 40 weeks. Matt Kuchar also took part in the 2016 Summer Olympics in Rio de Janeiro where he left with the first Olympic bronze that had been awarded for golf since the 1904 Summer Olympics. Matt Kuchar got married in 2003 to Sybi Parker. The two had attended Georgia Tech together and she was on the tennis team then. Despite being acquainted with each other since their junior days at Georgia Tech, they did not begin dating until they had left school. According to Matt Kuchar, the two began communicating and soon enough found themselves dating which would later evolve into spending their lives together. He also admitted that while they were close in school, they were too occupied with sport and school work to consider a relationship at the time. Sybi Parker was born on St. Simons Island, Georgia where she was also raised. Her college tennis career ended at college but she did teach a little of the sport after she graduated from Georgia Tech. 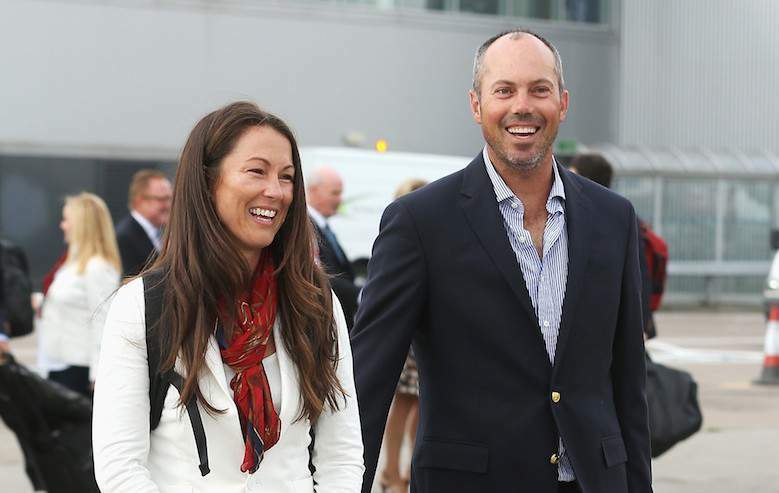 She now has two sons, Cameron and Carson with Matt Kuchar. Considering that Matt was actually a great tennis player from his younger days even being ranked in the junior circuit in Florida at one point, it is not surprising that the two sometimes compete in husband/wife competitions when they are free enough to do so. Matt Kuchar and Sybi Parker got married on a tennis court and they had Cameron Cole in 2007 and Carson Wright in 2009. The family lives in Sybi’s birthplace, St. Simons Island in Georgia. Their house is said to be worth more than $2 million. Sybi Kuchar is involved deeply in charitable activities, she helps out at a charity known as Camp Twin Lakes that set out to help children with special needs. She is also involved in the Ronald McDonald House, and United Way who also work with children and are focused on improving their well-being. The Kuchar family house in St. Simons Island which is worth over $2 million is probably a pointer to the type of wealth that Matt Kuchar wields. In 2012 he rose in ranks to become one of the top 10 best-paid golfers. He ranked number 9 on the list with earnings pegged at $12.5 million. He is presently better off with a net worth estimated at between $20 to $25 million. Golf is, of course, the major source of his income but he is also earning from different endorsement deals that he has such as the one with Grey Goose.